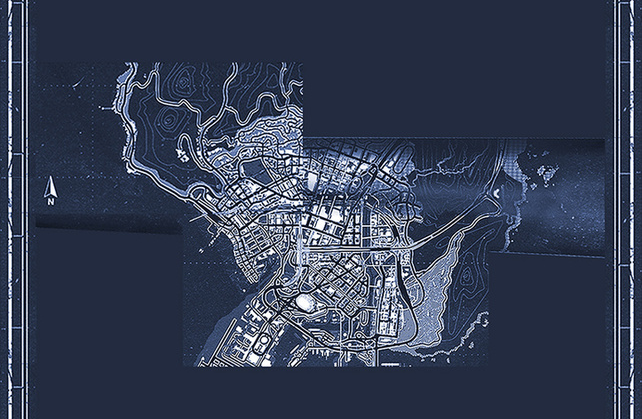 The other day, Rockstar Games sent out an email announcing a Special Edition and Collector's Edition of GTA V. Both editions include a blueprint map of Los Santos, the city from the game. As you can see it is just a part of the map, but at least it's something. 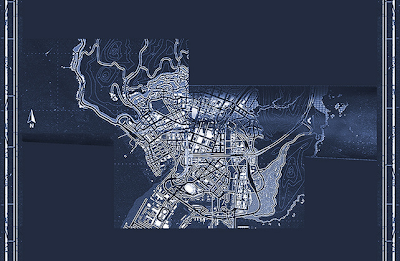 Hopefully we will get more information about the GTA V map and other gameplay features soon.